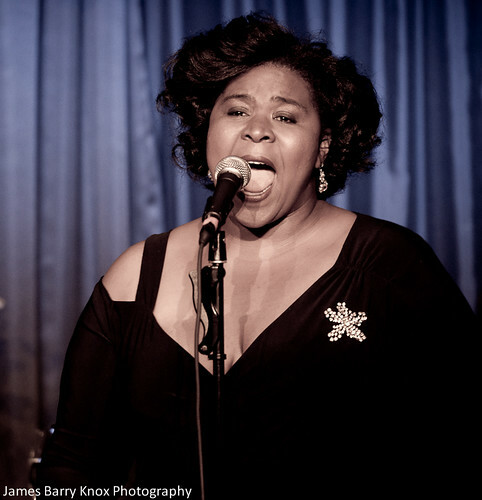 SAN FRANCISCO, CA SEPTEMBER 28, 2010: Jazz and cabaret singer Amanda King will make her New York City debut with two important shows on October 7th and 8th. Invited to sing at the Opening Night Gala of the 21st New York Cabaret Convention presented by The Mabel Mercer Foundation, King is the only west coast based singer to join the Thursday October 7th evening star-studded lineup of veteran entertainers including Andrea Marcovicci, Barbara Carroll, and Marilyn Maye who will receive “The Mabel Award” that evening. This show pays tribute to three remarkable singers/performers of yesteryear; Blanche Calloway, Bea Wain, and Mildred Bailey. In addition, it will bring back to the stage and to the ear some songs of the 1930s and 40s (movie musicals, big band swing era, Great American Songbook) that haven’t been heard in decades. King specializes in finding these long lost musical gems, both the people and the music they perform. Her shows in New York will present some of the finest music ever written for the popular voice of those early jazz years. Often compared to the great singers of the era, King has been hailed by Seán Martinfield of the San Francisco Sentinel as “the right voice for the very best in American songwriting”. Joining her onstage for both shows will be three great jazz musicians – Daryl Kojak, piano & musical director; Sean Conly, bass; Anthony Pinciotti, drums. This entry was posted on Friday, October 1st, 2010 at 11:22 am. It is filed under Music News/Info and tagged with Amanda King, Jazz at Lincoln Center, New York City, The Metropolitan Room. You can follow any responses to this entry through the RSS 2.0 feed.